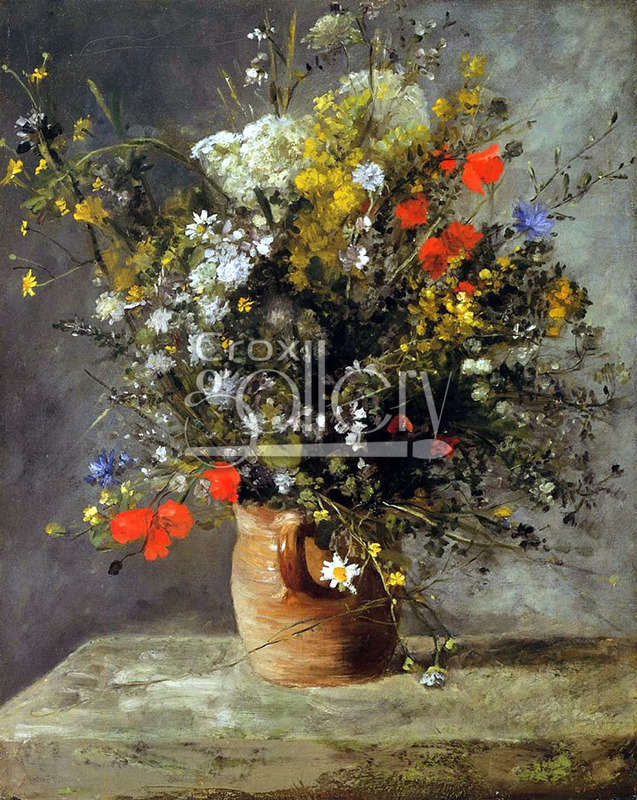 "Flowers in a Vase 1866" by Renoir, Oil Painting Reproduction. 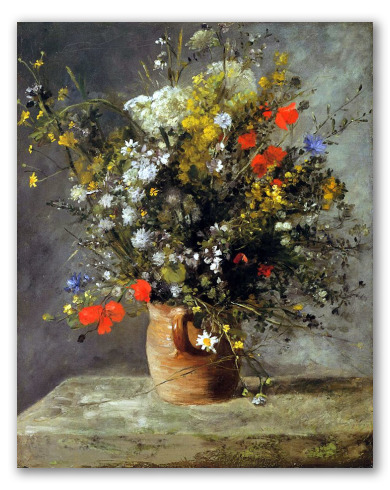 Flowers in a Vase was painted in 1866 by Pierre-Auguste Renoir. This painting depicts a variety of typical French flowers painted in the traditional French Impressionist style. Today, the artwork is in the National Gallery of Art, Washington D.C.